Don’t look now, but gas prices are slowly on the rise. Admittedly, the last few years have been really nice from a gas price perspective. Most of the country is paying in the low $2 range for their gas. In some locations, we’re talking a buck ninety. Low gas prices reduce the benefits of the best gas credit cards. The lower cost of gas reduces your savings. With prices inching their way back to the $3 range, a gas credit card is a crucial savings tool. I work from home, rarely leave the house during the week and still save $50+ a year on gas purchases. 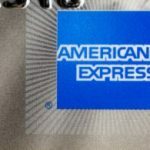 Below you’ll find a list we’ve compiled which feature the best gas credit cards available to you today. Some favor heavy spenders, some light spenders. But they all qualify as having a great rewards program and terrific gas buying perks. Costco Anywhere Visa® Card by Citi – If you’re a member at Costco, then owning the Costco Anywhere Visa® Card by Citi is a necessity. This credit card offers a whopping 4% cash back on gas purchases. It gives you 3% cash back at restaurants and on travel. You earn 2% cash back on all other purchases at Costco and 1% cash back everywhere else. The 4% cash back offered on gas is good for the first $7,000 spent annually. If you spend more than that, the cash back rate becomes 1%. At $2.50 per gallon, $7,000 spent breaks down to around 2,800 gallons. For an individual, non-truck driver, it would be extremely difficult to pump that many gallons in one year. New cardholders will also be provided a 0% intro APR on purchases for seven months. The Costco Anywhere Visa® Card by Citi charges no annual fee but you MUST be a Costco card holder in order to gain approval. This means keeping a paid Costco membership every year, which is a small price to pay for the rewards you see. 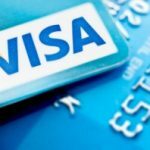 PenFed Platinum Rewards Visa Signature® Card – PenFed is not a credit card issuer you’ve likely heard of, but that doesn’t stop them from providing terrific rewards to it’s members. The PenFed Platinum Rewards Visa Signature® Card gives cardholders 5 points per dollar spent on gas, 3 points per dollar spent on groceries and one point per dollar spent elsewhere. They even rewards new cardholders with a $100 statement credit after spending $1,500 in the first 90 days. The five points per dollar spent on gas is year round, no spend limits or rotating categories. A 0% intro APR on balance transfers is also awarded (3% balance transfer fee) and there is no annual fee. The one caveat to owning the PenFed Platinum Rewards Visa Signature® Card is that you must be a member of PenFed credit union. That means being directly or indirectly involved in the Us Military or making a simple one time $17 donation. Chase Freedom® – After applying and being approved for the Chase Freedom®, you’ll earn $150 in cash back after spending $500 in the first three months. Get another $25 if you add an authorized user to your account when they make their first purchase. Similar to the Discover it® Cashback Match™, cardholders will earn 5% cash back on select categories (including gas) each quarter and 1% cash back on everything else. 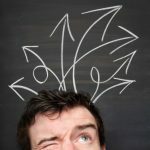 Discover and Chase typically try to avoid matching categories in a quarter, so owning these two cards likely covers you for 5% cash back in gas for six moths of the calendar year. 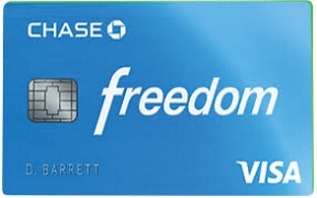 The Chase Freedom® also has a great 0% intro APR on purchases and balance transfers for 15 months, longest on our list. There is no annual fee to own this gas rewards credit card. 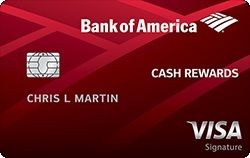 Bank of America® Cash Rewards Credit Card – Bank of America has perhaps the most trusted brand in credit cards and their strongest rewards card is the Bank of America® Cash Rewards Credit Card. New cardmembers will earn a $150 statement credit after spending $500 in purchases during the first 90 days. You earn 3% cash back on gas and 2% cash back at the grocery store and at wholesale clubs. You net 1% cash back everywhere else. On the 2% and 3% levels, a combined maximum of $2,500 per quarter can be spent. When that amount is reached, 1% cash back kicks in. When you redeem your cash back into a Bank of America checking or savings account, you get a 10% bonus (effectively making your rewards rate 3.3%/2.2%/1.1%). Also included is a 0% intro APR on purchases and balance transfers for 12 months. The finishing touch is that this card does not charge any annual fee. 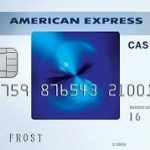 Blue Cash Preferred® Card from American Express – This is my preferred gas card of choice, not only because it earns 3% on all gas purchases but also because new cardholders earn a $150 statement credit after spending $1,000 in three months. The Blue Cash Preferred® Card from American Express also has a crazy 6% cash back on grocery buys (up to $6,000 annually spent). You earn 3% cash back at select department stores and 1% cash back on everything else. 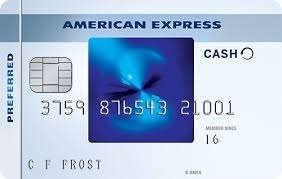 As an added limited time bonus, the normal $95 annual fee is waived for all first year cardholders. Tack on additional benefits like extended warranties, purchase protection (for items like laptops and cell phones) and travel accident insurance and the Blue Cash Preferred® Card from American Express qualifies as perhaps the best year round gas rewards credit card. Discover it® Cashback Match™ – For the very first full year, you’ll earn double the cash back rewards with the Discover it® Cashback Match™. The standard cash back rate is 5% on select categories each quarter (like restaurants, Amazon.com and on gas purchases). You earn 1% cash back on everything else. In the first year, for one-quarter (three months) you can earn a whopping 10% cash back on your gasoline buys. The maximum you can spend each quarter on the 5% cash back category is $1,500. After that, you’ll earn the 1% rate (or 2% if it’s your first year owning this card). There is no annual fee to own the Discover it® Cashback Match™ and also included is a 0% intro APR on purchases for 14 months. That will give you over a year to make purchases without having to worry about interest.